To celebrate this milestone occasion, Cointreau hosting a series of festive pop-up events, contests and more. The activations will bring the energy of Acapulco to life and celebrate the intrinsic relationship between Cointreau and the margarita cocktail. As the cocktail’s creator famously said of her instantly iconic drink, “A margarita without Cointreau is not worth its salt.” Margaret Sames. Back in 1948, Margaret “Margarita” Sames, a wealthy American socialite known for hosting notoriously lavish parties with extravagant twists, created a new cocktail for one of her soirées. 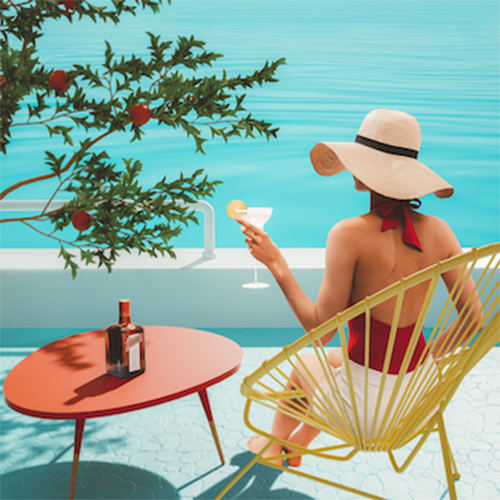 She simply mixed two of her favourite spirits: tequila and Cointreau, a liqueur crafted using sweet and bitter orange peel essences at one of her parties in Acapulco, Mexico. An immediate success, the drink came to be known as a “margarita”. Consequently, her friends nicknamed the drink “Margarita” after her. Some of her regular guests included Nick Hilton, founder of the Hilton hotel chain, Joseph Drown, owner of the Hotel Bel-Air in LA and other influential people who helped popularise the drink and adopted in popular bars around the US. Venues participating in these once-in-a-lifetime events kicking off on the 5th of May at South of The Wall a Mexican margarita bar and restaurant in Cremorne, VIC. This place has it all—flavour, good vibes, and at least 10 different margaritas on the menu, so it was a natural choice to co-host a “Margarita Loves Cointreau” Pop-Up. Pablo Honey Tapas Bar is set on a busy corner on Acland Street, St Kilda. One of the best tequila bars and a South American fare extraordinaire – once you pop inside for some seriously upbeat vibes and incredible tiki artwork you’ll want to stay a while. It’s the perfect spot for a Cointreau Pop-up event on the 5th of May and coincides with their Cinco de Mayo Party, so you’re bound to have an unforgettable time and at least a few Margaritas! Also, celebrating around the country on the 5th of May are Caballitos in Perth and Swannie’s Lounge Bar & Restaurant on the Gold Coast. Caballitos is a fun and festive basement dirty cantina tequila bar serving up drool-worthy Mexican food in Perth’s CBD. Some of the best tequilas and Margaritas you’ll ever taste are made here! Swannie’s Lounge Bar & Restaurant is a haven to enjoy great food and amazing cocktails. Latin music and a good vibe certainly make it a great place to celebrate Cointreau’s 70th Anniversary of the Margarita! On the 6th of May, The Salt House, perched in a priceless location on the Marina, boasting lengthy mountain, ocean and Trinity inlet views making it near impossible not to unwind and soak up the sun & sip on a Margarita. With casual style dining, their tapas bar menu is perfect for sharing with friends, matched with perfectly made Margarita cocktails, so make sure you head down for the celebrations on the night. On the 18th of May, The Emerson Rooftop – an elegant yet casual space with scenic views will be transformed into a tropical surrounding for the Margarita Loves Cointreau 70th anniversary celebrations. Beneath a retractable roof and surrounded by ample heating, you can stay warm and glitter into the night, or unwind in the afternoon sun. Whether the sun comes out to play on not; their rooftop is always shining. Campari House’s Rooftop Bar is nestled amongst the skyline and is the perfect retreat from the hustle and bustle of the city. Offering a wide variety of drinks and specials to suit all tastes, as well as a bar menu to enjoy a buzzing Saturday evening celebrating with a Margarita for Margarita! 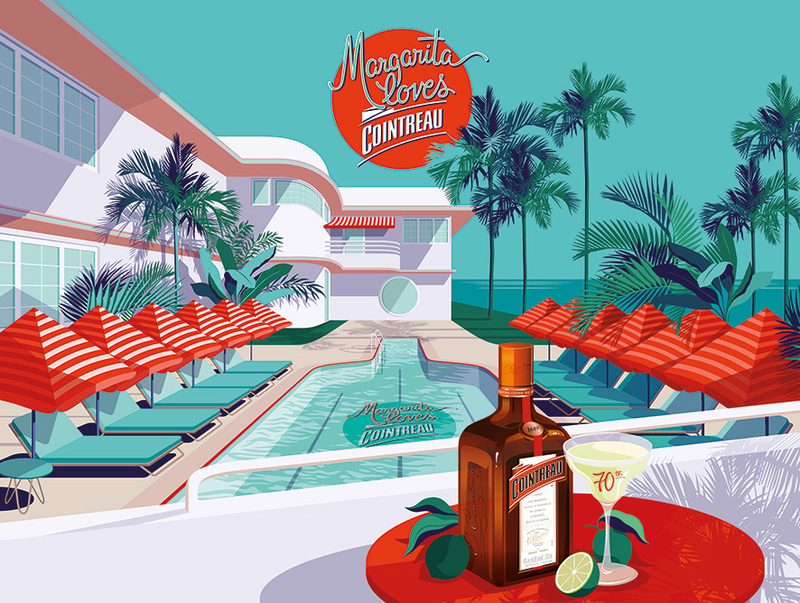 Here are the locations joining in on the Margarita Loves Cointreau 70th Anniversary of the Original Margarita. Check back soon for more venues across the country joining in on the celebrations. 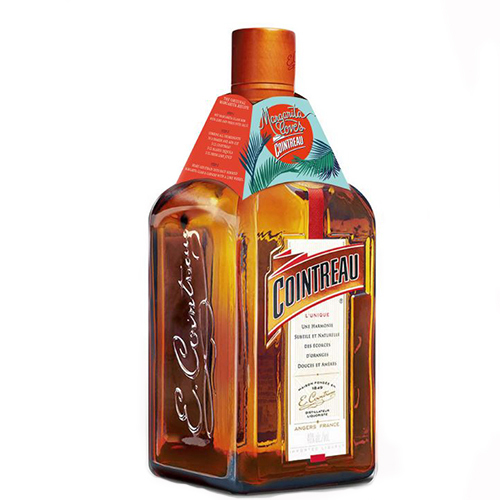 Throughout June, every bottle of Cointreau features a neck tag with the famous original Margarita recipe. So, now’s the perfect time to head down to your local liquor store to pick up yours. Learn more about THE HISTORY of the Original Margarita Cocktail.